Whenever one is looking for immigration, there are some things that one always keeps on the top of the priority list, and those things are better life standards, healthcare, education and job opportunities. And, if you are moving along with your family, job thing would be the first thing that should always come in the fore. If you are wondering that which place is the best to avail for ensuring a decision that is worth flaunting in the future, Denmark is one such place that you can blindfolded trust upon. This place is truly captivating, and if you are looking for a better life, you would have an experience certainly at Denmark. But the most contentious struggle that would revolve in the head is whether immigration to Denmarkis the best option to avail. Well, it should be since you will be given more opportunities in every sector. At the same time, there is one general mantra that revolves around Denmark and the basic fabric of the mantra is to make people real competitive in the market. 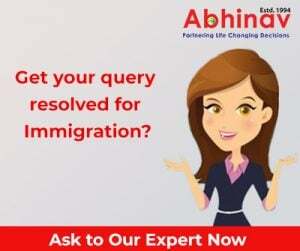 Hence, if you are moving to this country as a skilled employee, you can further polish those skills and emerge as the best competitor in the market. But as an aspiring immigrant to the Nordic Nation, you might be wondering that which way is the best to help make a movement to this country. Well, you can bank upon this piece and make sure that you are able to move. In the first place, you can look forward to the Danish Green Card Scheme to help you move to the overseas hotspot. This programme is truly unprecedented even as it allows all those individuals who are skilled to apply for Danish visa, and you will be given the chance to stay for 12 months in the country. You will get DKK 3, 75,000 for the period of the stay as Software Engineers. So, you might be wondering that why skilled Software Engineers are the only that have been talked about, well, it would definitely captivate you to know but as a matter of fact, the shortage has reached to such a limit that if you are moving to Denmark as Software Engineers, you are more likely to get the Permanent Residence Visa (PRV) for this country. There are also other jobs that are mentioned in the national occupation list of Denmark, and if you are lucky enough to picture in those requirements, you can definitely make one thing certain that immigration to Denmark will never look hard for you. There is one more way that can help you immigrate to Denmark, and this way is meant for the maximum. Still wondering, well, it is through education. You can opt for any higher education course in this country, and move without any hassle. There are loads of advantages attached when you move to this country for education; the first in the list is residence permit that you will get once you move to this country. There are other benefits also that you can come across once you move to this country. So why wait, let’s make Denmark happen this year!